The runtime include/exclude functionality of NCover 3 has been integrated into the current NCover's Filter Coverage. 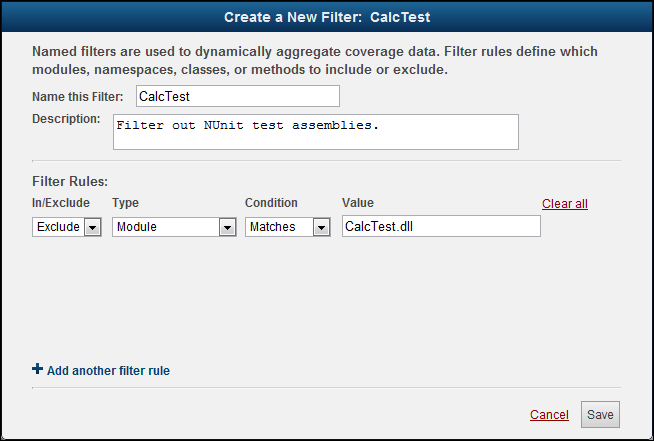 Pre-coverage filtering is configured on the Pre-coverage filter tab of each project. Post-coverage filtering is also available for every data view below the Home page and is applied by creating Filter Rules. Once you've defined your filter(s), click the at any level of the data view to apply the rules you created in the steps above.